This week is a Q & A and some review/highlights from the 2017 episodes of The Consummate Athlete Podcast. The Consummate Athlete podcast is challenging you to aim for 500 minutes of MOVEMENT. This could be a family walk/hike, Yoga with a friend, your workout of the day, strength or getting out cross-country skiing. You choose just aim for 63 minutes for each day this 8 day holiday week (December 24 – Dec 31s). It is a tough goal but also flexible to shift your time around and your sport/intensity. Let’s make this an active holiday! Best photos/posts/adventures will get prizes! — nuun, Clif bar, Fuel Your Ride, Saddle, Sore, and a three-month training plan all up for grabs! 3) what is in your backpack? 4) What is x-train? What about if in the city? (cant’ snowshoe) why should I? 5) Should I set a New Years resolution? 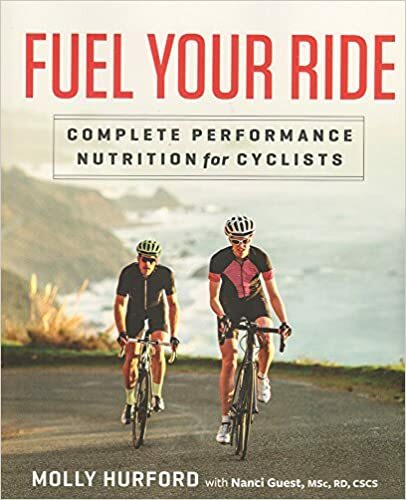 – optimize power, weight and bike function. 7) Hi Molly asking from a slightly left-field perspective, I play skittles ( think British smaller ten pin bowling) and although for fun, but get a bad case of the nerves, meaning I’m anxious before, during and after. To the point where I can’t sign the scorecard as my hands are shaking so much. I had the same problem when I take part in cyclocross and mtb races. So it is something related to competition. So do you have any advice, information and thoughts as I would like to control this. 8) Favorite fitness/adventure gifts you want to give or get? Jonathan Beverly delivers in today’s episode. Most sports will benefit from running directly in competition or as part of training. Jonathan has written a book called ‘Your Best Running Stride‘ that pulls together the latest research, practical information from coaches, athletes and therapists and years of his own experience as the editor of Running Times. This is a packed episode with information about running drills, warm-ups, cues and mobility/strength exercises to boost your running ability. The Show is sponsored by: Health IQ, Health Insurance for Active People Like you! Jonathan Beverly is a lifetime runner, coach, and student of the sport. The editor-in-chief of Running Times for 15 years, he is the author of ‘Your Best Stride and Run Strong, Stay Hungry’ and writes for a variety of running and fitness publications. 1) what does a normal day look like for John Beverly? – consider going into how he got to editor status? 2) What is your sporting career? what have you done in running and beyond? 4) The body you have now will find way = what experts agree upon is not a specific running style but a few optimal running mechanics that often get compromised by our daily habits. – throw out pronation/ supination- what is too much? – is 180 for everyone? 6) Starting running – perhaps a non-athlete or especially a ‘fit’ cyclist in fall. How slow do we need to go? -> how much, how fast? 5) What is a good warmup for a recreational runner? The Boundless adventurer Paul Trebilcock joins us today to talk about doing lots of sports, finding adventure and making a TV show. So many great take-a-ways today to apply to your life and favorite sports. The Show is sponsored by: HEALTH IQ – Life Insurance for Active People Like You! Of all the goals and accolades Paul has achieved as a professional (which includes co-founding/hosting the reality adventure show Boundless), his proudest accomplishment is starting the Kids for Kenya-Toilet Run, which supports the building of toilets at schools in Kenya. 1) what’s your sport background? Carpenter? Outside of sport and competition, I’m a pretty regular guy, going to work every day and coming home to my family. In high school, I ran cross-country and track. It wasn’t until I started a bike courier business that I got into cycling. Riding every day quickly got me hooked on adrenaline. I eventually sought out other sources of adrenaline and started competing in endurance races that combine every type of physical activity you can think of. During the Costa Rica Adventure Race, we biked for 20 hours, trekked for 60 and kayaked for 32. Off-season, I train three times a day, usually starting with a 6 a.m. high-intensity bike ride. When I am not training, I also love to take on new adventures as part of Boundless, a reality adventure TV show that I co-founded and host. While I’m obviously competitive, I’ve learned that the journey is more important. Of all the goals and accolades I’ve accomplished, my proudest is starting the Kids for Kenya Toilet Run which supports the building of toilets at schools in Kenya. 2) how did you start Boundless? The jump from two friends adventuring to a TV show is not a small one. 3) What was your favorite adventure/episode – was it the one you were most looking forward to before the show/in planning? 4) craziest moment? is there a method or mindset you use or have found useful during times of emergency or danger? 5) 3 seasons of a TV is certainly an accomplishment, where do you go from here? – your back to MTB, is that the favorite? 6) For the 1/2 Ironman in Thailand – what did you learn about triathlon that you wish you knew before? 7) seems like you’ve made more of a dive into the wellness side of fitness now. Has this always been an interest? -> you mention ‘small things to keep the body happy so it can go forever in one of the episodes’ … what are some of those little things? 8) BOOKS that have influenced you. March Q & A – thanks for questions ! Don’t forget to check out www.wideanglepodium.com for show info, other podcasts and to see if becoming a donating member of the network is for you. DONATE! – Our Show is Brought to you By W.A.P. How do you start training, increase volume or increase intervals without burning out ? = not everyone is a 60 min threshold and not everyone can hold 95% of their cp20 for 60 minutes. If you are struggling with zones of your cp20 or what you think is your threshold try using 10% of cp20 , or trying a longer TT 30-40min long for a better estimate. = Software is WKO+ that Peter referenced and uses with all his Smart Athlete Coaching Clients, it will help model your threshold much more accurately then generalized formulas based off TTs . Question about Frequent Sickness with Kids – how to ease back into training ? – mentioned zinc lozenges, Vitamin C and Hand washing. Nutrition changes where to start ? Intervals on hills . Remember flat power and also that the time in-between intervals is important consideration . Glenn Hartrick is a New Jersey Athlete whose story will inspire you to overcome whatever challenge you are facing. DOWNLOAD IN ITUNES – Remember to subscribe and/or leave us a rating in ITUNES !!! – what brought you back to training? did you ever have a moment where you didn’t want to race again, or was it always there? // no matter what the circumstances are, it’s possible to thrive as an athlete. – how has training been different ? which is more exhausting? – rehab and strength ? – 70.3 as TRI … how do they differentiate the run from the bike? – Will he consider para olympics? – looking back, did it change how you approached the idea of relationships / racing / life?